The Nagel Foundation story started with a German immigrant who bought a soda-water company for $700 in 1895 that serviced ten saloons in downtown Boise, and turned it into a thriving business. 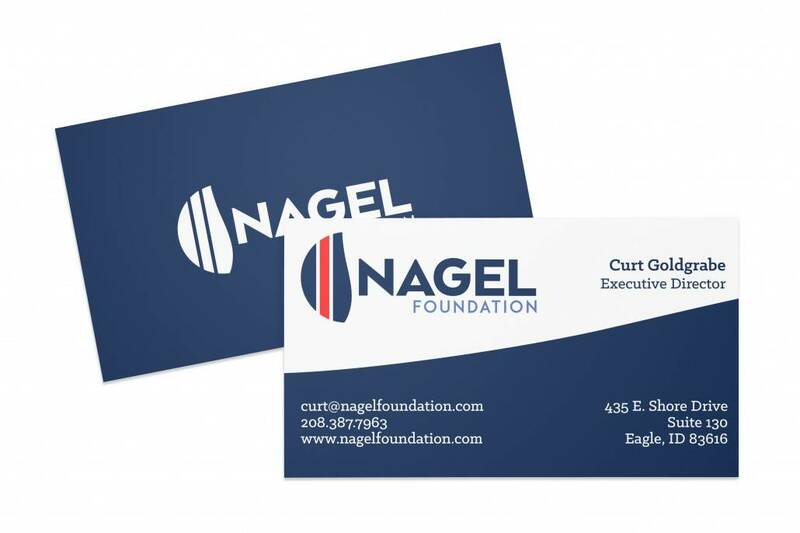 In 2009 after the Nagel family sold their business, they established the Nagel Foundation with the mission to support human needs such as medical treatment, food needs, and youth education. Graphic Zen was hired to create a new brand identity mark in conjunction with developing a new website. For the new logo our focus was to develop a mark that would honor the history of the Nagel family. At the same time the goal was to illustrate that the Nagel Foundation has continued beyond the business that founded it, and into a new mission of serving others. We choose a strong combination of fonts and colors, and after a review by the client, they selected the logo that you see below. For the website, we updated the site from a fixed width static website. Using WordPress as our platform, we designed a full width and mobile responsive website. The new website makes use of slideshows, photo galleries, animation transitions and parallax features. The client also requested the ability for potential applicants to be able to "save and continue" the application process through an online form. Some applicants don't have all required information at the time of application, so this feature would allow them to return to where they left off to continue the application process. We were able to fulfill this request on both forms that are on the website. Client feedback is at the bottom of this page. 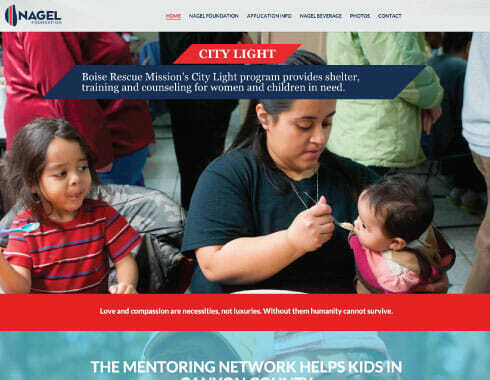 Late last year, the Nagel Foundation decided to update our image and website. We found Graphic Zen and Rudy Vaughn through a mutual client and decided to find out what they could do for us. Rudy met with us at our office and was able to answer almost all of our questions in our initial meeting. His prompt follow up and resources to meet our needs gave us confidence to move forward, so we hired him to redesign our website. After seeing his initial concepts, we also had him design a new logo and look for the foundation. Rudy listened to what we wanted, made small changes we asked for, and got our website up and running in a reasonable amount of time. Because we wanted to manage the website ourselves, he gave us all the necessary tutorials and training tools to manage it as we wanted to. He steered us through a couple initial questions and we were off and running. We were also pleased with the concepts he delivered for our identity package. His creativity showed in how he married our history with our future, and gave us what we wanted in this area as well. We are very pleased with the results and would recommend Graphic Zen and Rudy Vaughn for any organization looking for website design and logo work.